Experience the nostalgic sound of vinyl with the Evergreen portable USB record player-DN-84537. 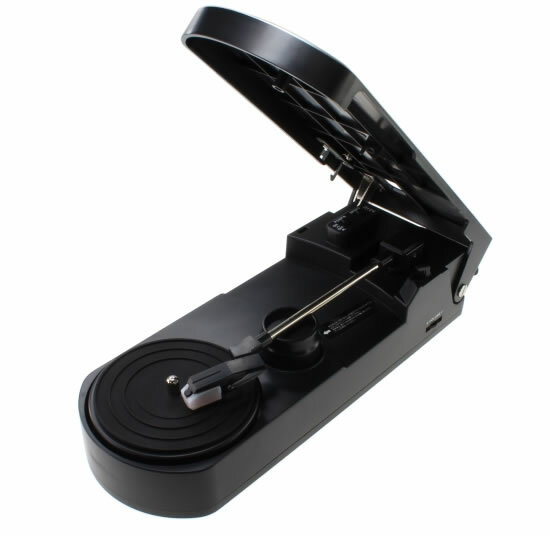 This fully automatic belt-driven turntable supports 33-1/3 and 45 rpm record playback speeds and features a USB output for listening your favorite records’ tracks on a laptop or PC. A fundamental advantage of this turntable when compared to other turntables available at this price range is the integrated speaker system. This makes Evergreen DN-84537 to work effectively as a mini stereo system. You can record the music on the PC with the supplied Audacity software. For playing 45 rpm records, use the included adaptor. You can use USB bus power or 4xAA batteries for power. The record player supports Windows XP/Vista/7. 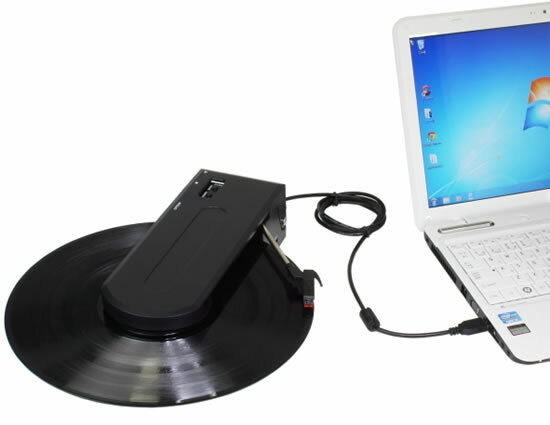 Evergreen USB portable record player-DN-84537 measures 275 × 105 × 80mm (width × height depth ×) and weigh approximately 600g. The player is available in Japan for approximately 3,999 yen ($42).